The Hard To Find Records brand has become more than just a household name over the past 20 years. For the old skool DJs and music fanatics alike it strikes a chord, stirs up memories and takes them back to the very beginning. This Birmingham-based store is possibly still the go-to vinyl hub for music aficionados all over the world, and now the next step in the Hard To Find Records story has landed: Hard To Find Records Download. Embracing the digital age with open arms, Hard To Find Records Download applies the knowledge and experience of two decades in the music industry to a cutting-edge digital download website. 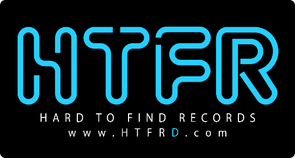 With over a million tracks and counting, HTFRD is home to some of the biggest artists on the leading labels. Categorising music into various genres, once the search for a track has finished, you can listen to the full preview before buying in any format you could wish for. To sweeten the deal, HTFRD are running a Black Friday event that will see every single track and album on the site discounted by 50% bringing the price of one track down to just 65p – a deal that will last weekend from midnight Friday 28th to midnight Sunday 30th November. To claim your 50% discount, use the code: BLACKFRIDAY.